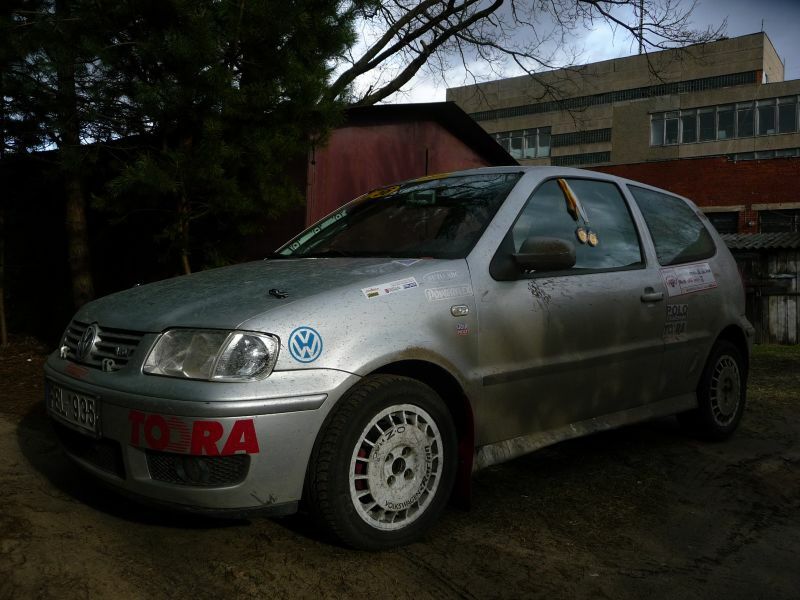 VW Polo Group N 1.4 16v rally car for sale, made by VW Motorsport (Wolfsburg). Lots of competition parts installed (incl. full welded in OMP rollcage, Proflex shocks (recently serviced 2011.04), extinguisher system, VW close ratio gearbox with LSD, Peltor intercom, Brantz rallycomputer, 9x VW Motorsport wheels+many tyres, oil sump and tank guards, Lamp pod with 4x HELLA lamps, some spares), please contact for more info. Homologation papers available. The car is absolutely mint from inside, outside and mechanically. All papers available, car has licence plates (and sport passport). The price is 8500 Euro.